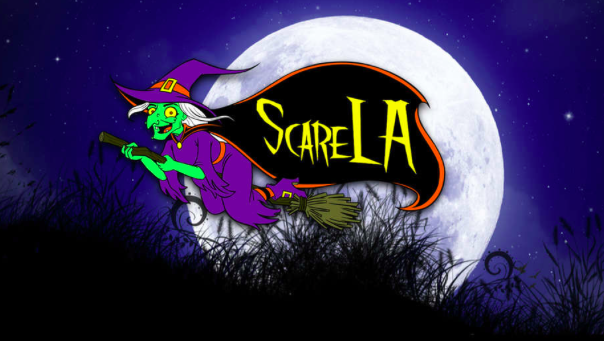 Here’s to all Halloween fans looking for Scare LA coupon.. grab your ScareLA Convention discount tickets of $15. ScareLA is back this August at the Los Angeles Convention Center. Meet and learn from haunt and horror professionals, delve into hands-on workshops, pumpkin carving, sneak preview to upcoming Halloween events and more. Details below. disclosure: this post may contain affiliate links.The Halloween Convention LA is opening its doors for the 6th year. It brings you all the thrills and chills you crave — and you only have to hold tight until August to see ScareLA. Whether you’re an addict of the macabre or a Halloween industry professional — or fall somewhere in between — you can meet and learn from the nation’s best haunt and horror professionals and artists while delving into hands-on workshops, demonstrations and classes at ScareLA. From makeup to costumes, pumpkin carving to Halloween party tips, fans of all ages will get the chance to roll up their sleeves and play this summer at the Los Angeles Convention Center. There are tons of onsite attractions, experiences like Scarywood and escape rooms, horror entertainment and games, full-size haunted houses, mini haunts and more. You can also catch sneak previews and behind-the-scenes looks at the most anticipated Halloween events in Southern California.